This weekend was one that I had been looking forward to all summer. 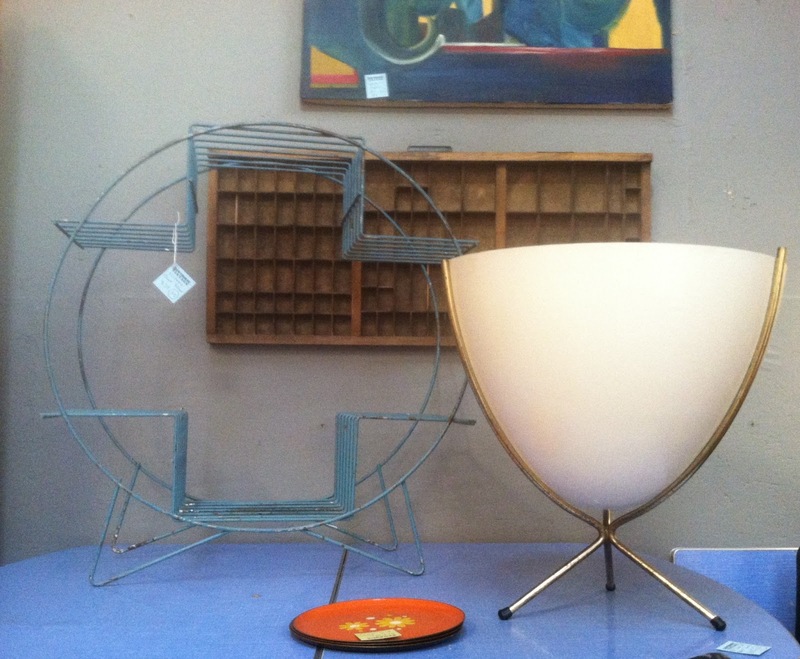 It was the weekend of the Portland Antiques & Collectibles Show. With 1400 dealer spaces it is the largest show of its kind in the NW United States. On Friday dealers can pay $30 for early admission 1 day before general admission. I was glad to do so but due to some confusion I showed up 90 minutes after it began. 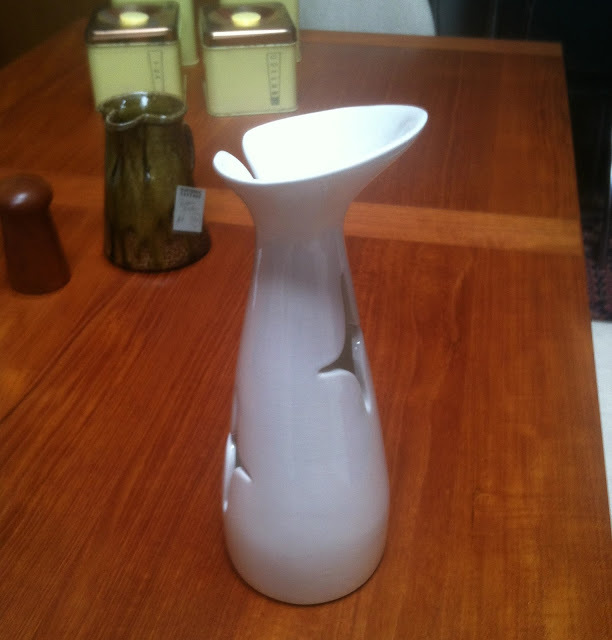 Despite my lateness nearly every piece that I wanted was priced well and still available. 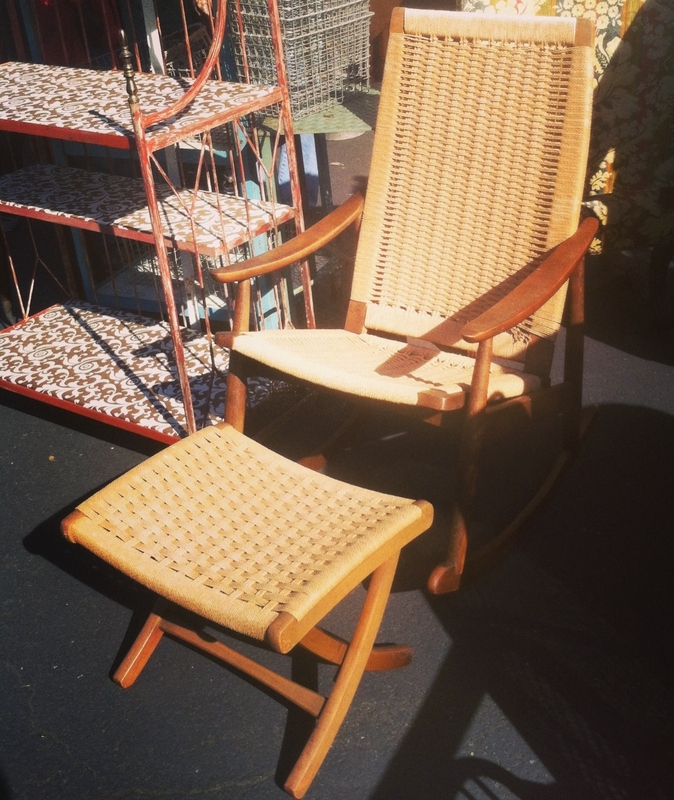 I have always wanted to buy a Hans Wegner style rocking chair but had never seen one at a pickable price. 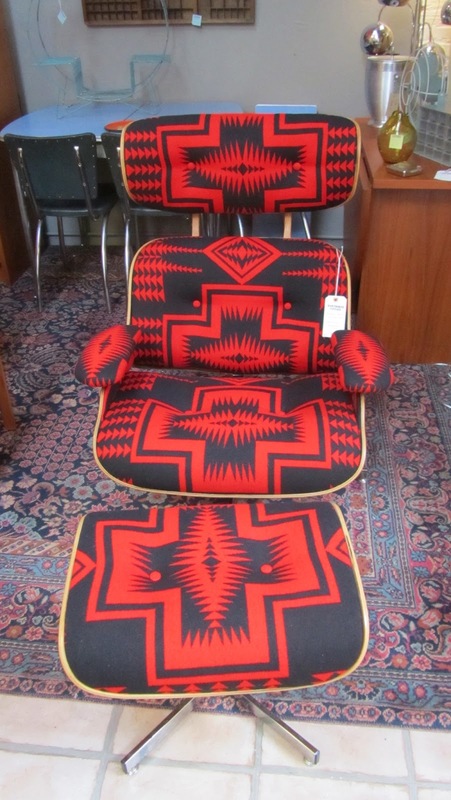 I was glad to buy this one and the ottoman was a sweet bonus. It is now available at Hawthorne Vintage. I was definitely shopping for summer items and this bullet planter and planter rack were just what I was looking for. This is only the second fiberglass bullet planter I have ever bought and it has already been sold. The planter rack was sold at Portland Flea. I thought this faux alligator ice chest was a risky purchase but I couldn't pass it up. The risk paid off as it has already been sold. 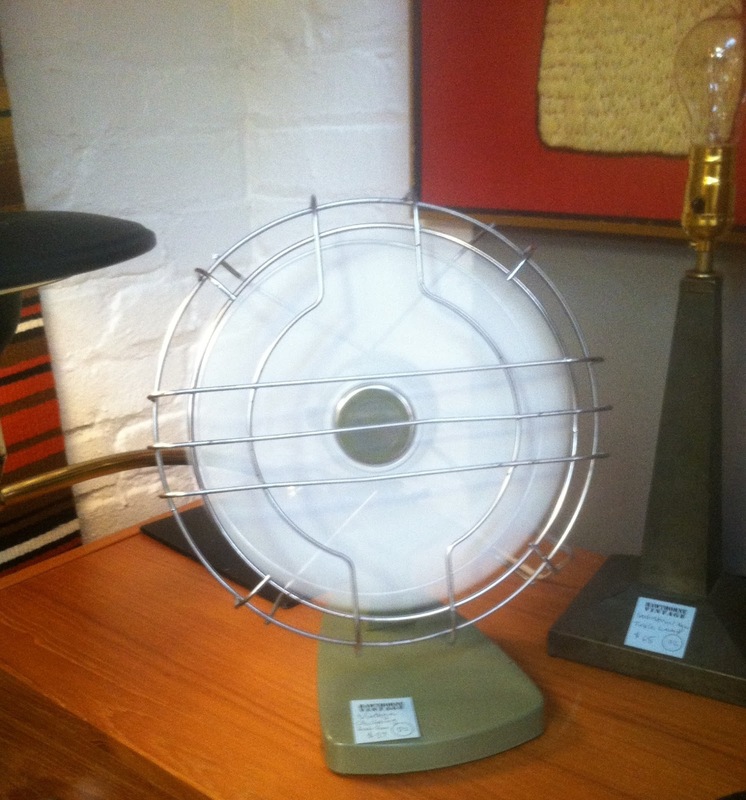 Continuing my summer theme I bought a pair of amazing vintage desk fans. They are currently keeping our space at Hawthorne. Update // Both have been sold. Mid century wall clocks are always a good find. Each will be available once I put a new movement in them. Saturday was the only day of the week that Heather was available to do any upholstery so I skipped going to any sales to help her finish this Eames style chair. It turned out beautifully and //Update// has been SOLD at Hawthorne Vintage. I will be making a reclaimed wood top for this adjustable table base. Love the ice chest and the fans - I could do with those right now! 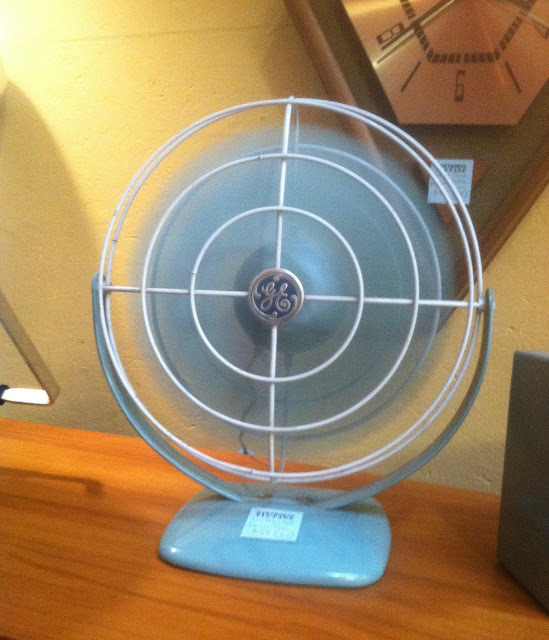 Great fans and the first wall clock would be something I would pick up if I could find them. That ice chest was well worth the risk! I love it all! I'm actually kind of glad I don't live near you guys because I would be totally broke. My house would be glorious, but I would be hungry! I really love the bullet planter and the plant stand. I saw a stand like that a few months ago and didn't get it. I've been kicking myself ever since.